+$204 today on TGTX and AUPH. The best $204 I have made in a long time! Why? Because I was tempted to break my rules today, but stayed strong and ended today with a gain instead of a terrible loss. 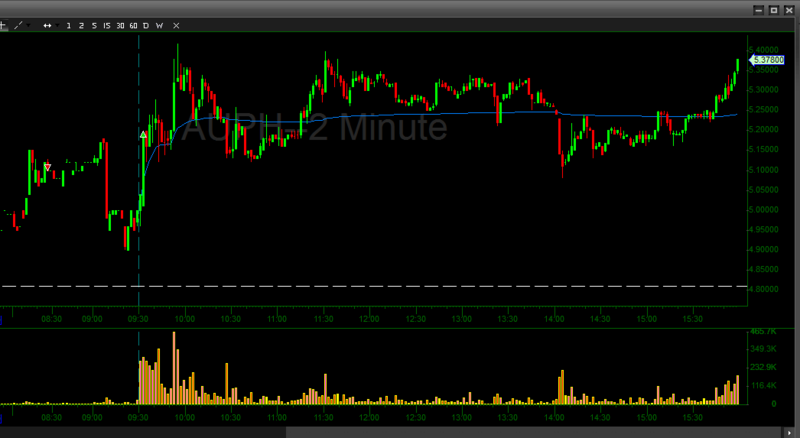 AUPH was an overnight short from Friday and was the stock that truly tested my resolve to stay true to my rules. I started in on Friday after it failed to stay green on the open push. It bounced back and I added into the big secondary run. I planned to take profits on a re-test of the 4.60 support area if it got back there. I had to go so I set up a range order with HOD as my risk and the 4.60 as my profit target. It did not hit any of those targets the rest of the day. It got down to 4.70, but never to my profit target so I was in overnight. I, of course, was hoping it would gap down, but in the morning when I saw it gaping up I decided to add a little more pre-market which brought me to a full $ risk for the trade at the 5.20 price level. In retrospect that add was a mistake. The trade was not going as planned and I added to it. I added in an effort to come out with a gain on the trade, but doing so brought me up to a max $ loss on a less then ideal trade. None the less, that is what I did. I was encouraged when it stuffed at 4.18 pre-market and had a big pull, and here is where I got tempted to really break my rules. I almost did not put in a stop loss order when it stuffed. I figured if it pushed again I could add a little more and make my risk my max daily “oh crap” $ of $2k. After all, it just stuffed right?! I don’t want to stop out if it re-tests the stuff area! When this then pushed again at the open I was tempted again to remove the stop and ride out the run. However, I stayed true to my rules and took the 1K max loss–$1196 after slippage. Good thing I did because it pushed way further than expected. 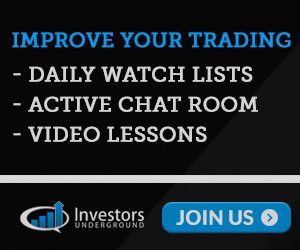 I would have hit the 2K max daily loss and had to stop trading for the day or worse… get stubborn and still be holding the bag! Staying true to my max $ loss per trade rule made all the difference today. Because I kept the loss under control I was able to make the entire loss back in a single trade on TGTX later in the day! Had I broke my rules I would be closing today with an unacceptable nasty loss of over $2k. 2k is also a lot harder to make back. I am very happy that my discipline is moving is the right direction. I still have a ways to go of course (as evidenced by adding to a loser on AUPH ), but progress is definitely being made and that is encouraging!